I still don’t have jeans. I still desperately want jeans. But unfortunately it’s starting to get a bit chilly, and what I really need more than jeans, are sweaters. Lots of cushy, cozy, warm sweaters. So my quest for jeans is being put aside for the moment in favor of sweater knitting. Lots and lots of sweater knitting. I’m this close to finishing my Versio sweater. Yay! I’m almost done with a sweater I started three years ago. Double yay! I started knitting a black lace weight sweater that’s a total nightmare to knit, but I know that I’ll love wearing. Half a yay? Also! 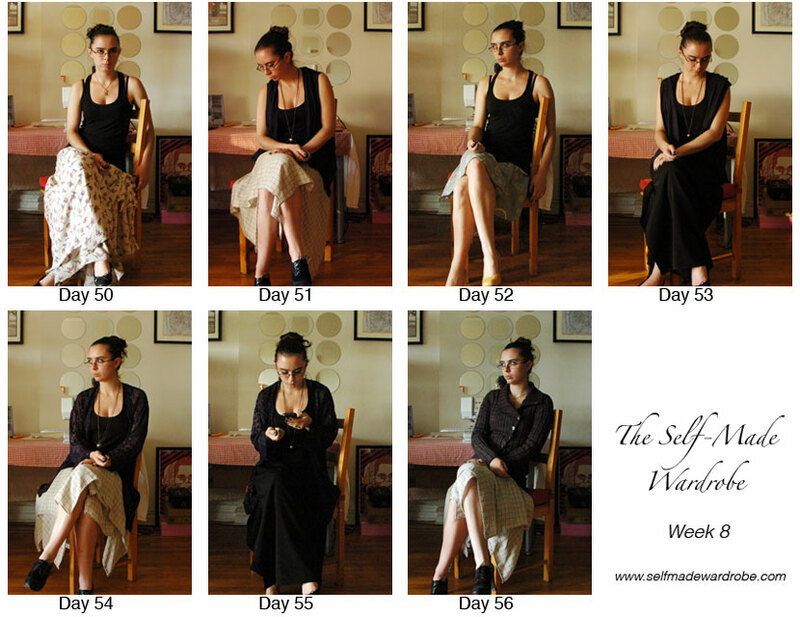 I got my tripod – so I’m going to play around with taking garment photos – (yay! & eep! all at the same time). If you want to know the moment I figure out how to take photos that really show off the pieces I’m making (and that don’t make me look like a monster) – hop on the mailing list to get blog posts delivered straight to your inbox.